Search engine optimization (SEO) provides a great benefit for businesses that need to promote themselves online to generate leads and build brand identity. There are several ways to make SEO work for your company, and some business owners and managers decide to take on the responsibility of SEO. 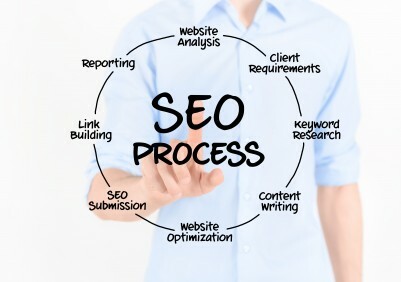 SEO can be a time consuming task and does require ongoing attention if used properly. Should your company have a blog? How should social media be used? Are emails considered spam or can they be legit? Lead generation – an experienced marketing firm can stay focused on lead generation for your business without getting sidetracked on other business issues. Content management – SEO should be integrated throughout all of your online communications including your web site, blog, Ebooks and more. With the right marketing provider you can make sure SEO is used in all aspects of online marketing for your business. Online reputation – building your brand identity online requires a lot of attention to the feedback and opportunities that present themselves. Negative as well as positive feedback should have a prompt response that is professional and tactful. This will help to present your business properly online. A trained marketing provider understands how online responses must be worded carefully so there is very clear communication and understanding. Reporting and analysis – as part of the ongoing monitoring of SEO and online activities a knowledgeable marketing firm can review the results of various activities and determine if further tuning is needed and what campaigns have been the most effective. Internal resources may not always have the time to perform this level of analysis. Should your company have a blog? To take full advantage of SEO you should definitely have some form of blog, but consider using a skilled marketing resource to help with these efforts. For more information please call us directly or click the button below and we will contact you. Thank you.